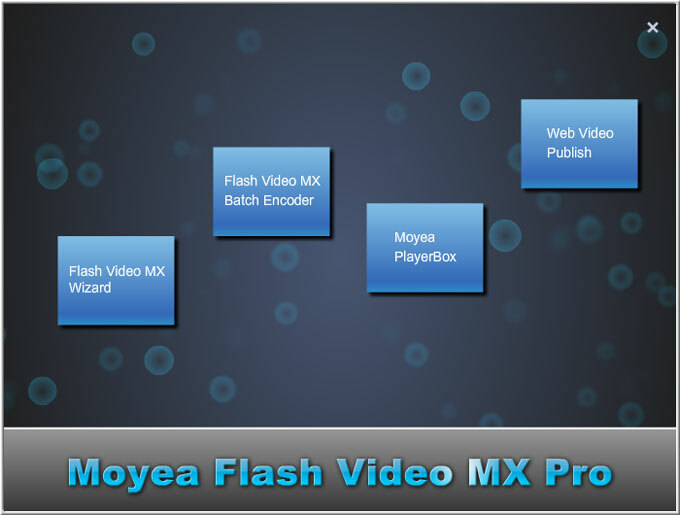 Flash Video MX Pro is to convert video to Flash (swf) and Flash video (flv), with preset player and easy player creating functions. The conversion for avi to swf/flv, dvd to swf/flv, mov to swf/flv, wmv to swf/flv, mp4 to swf/flv, 3gp to swf/flv, mpeg to swf/flv is fast and you can even import FLV and F4V with H.264 codec. In addition to H.264 video encoding for bandwidth saving, Flash 8 with alpha video encoding for video overlay, Flash 8 video encoding for high quality, Flash Video MX Pro with its newly polished UI and gorgeous player skins, supports also video trimming and cropping, watermarking, subtitle adding, amazing video effects, and Cue Points for different events and navigations, etc. Flash Video MX Pro enables you to create player with the buttons and trackbars you design, custom player skin with preferred images. With these enhanced functions, this program is the best and the must choice for users worldwide. ALL TITLES FROM Moyea Software Co., Ltd.
DVD to Flash Converter is Flash dvd ripper, rip DVD to Flash.